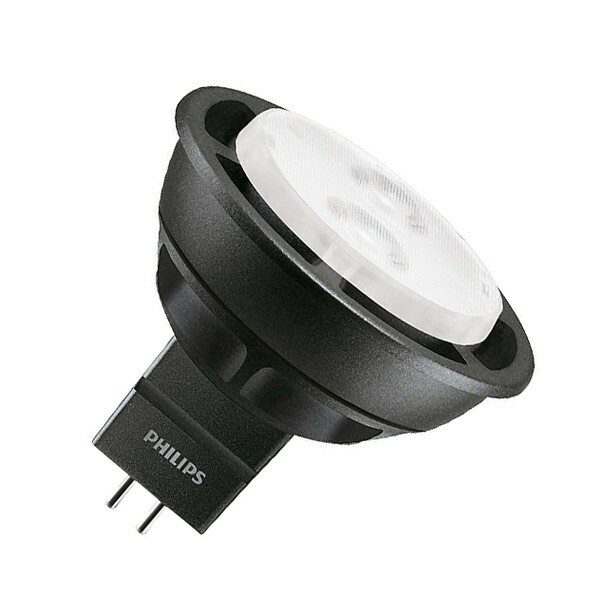 This Philips 3.4W MR16 is a low energy retrofit replacement for 20W halogen spotlights with GU5.3 bases (two pins 5.3mm apart). This lamp has a 24 degree beam angle but for those who want a wider flood, there is a 36 degree option available. With a long life of 25,000 hours and a very warm white colour temperature it is perfect for both domestic and professional applications.